Gingernut is a 5 month old domestic long haired kitten. The gorgeous Miss Gingernut was signed over to the vet group due to unforeseen circumstances. 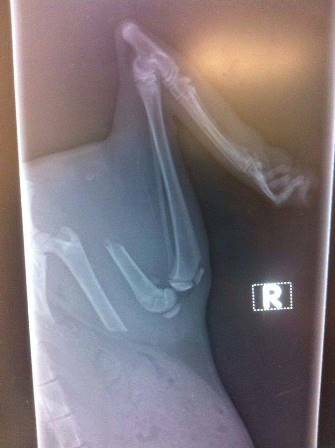 She presented with a broken femur from an unknown cause of injury. 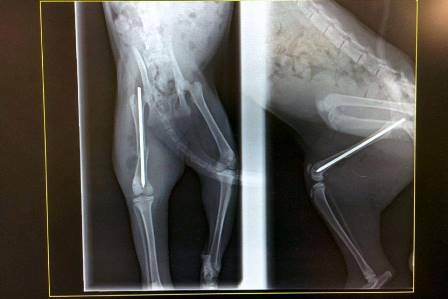 She had her surgery and a pin placed in her leg. Since we are all big softies here at the clinic, one of the vets has decided to foster her through her 6 week recovery time. We will keep you posted on how her recovery goes. 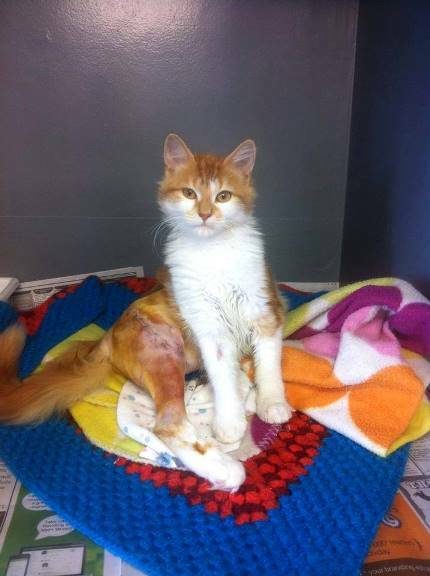 Update: Gingernut is living happily with the vet who fostered her and has recovered well.